Urogyn ki Puri Team ka bahut bahut dhanyavad.Urogyn ki Puri Team ka bahut bahut dhanyavad. Jo apne humare ghar mai 16 saal mai roshni kar humara jiwan khushiyo se bhar diya. Thanks for Urogyn Team & Dr. Surbhi Gupta. Urogyn Clinic staff very good and corporative. UROGYN apka bahut bahut shurkiya jo apki wajah se hume ye khushiya ka paal mila. Ye jo nanhi pari humare jiwan mai aai aur humara ghar aagan khushiyo se bhar diya. Apka staff bhi bhut acha aur understanding hai. Urogyn ki puri team ne bhut kaam kiya hai hum logo ke liye ineki mahenat se mai maa ban pai. Tahe dil se is hospital ko mai kooti kooti naman karti hu. Thanku so much for making me motherhood. We are feeling very happy because Dr. Surbhi give us lot of happiness in our life. We shall be highly grateful to her & her team. We are really thankful to you. We are very happy to come here Dr. Surbhi Gupta is a very nice doctor. she gives us a happiness here the staff are also very good. Special thank to Dr. Astha. As we have no word to express our thanks to you you have helped us to become parents of a beautiful daughter. The happiest ever experience of our life. May God bless you and staff for helping and supporting us and many more couple like us. Urogyn apka bhut bhut shukriya jo apki wajha se hume ye khushi ka pal milla. Ye jo nanhi pari humari jeevan mai aai aur humra ghar aagan khushiyo se bhar diya. Apka staff bhi bhut aacha aur understanding hai. We Thanks to UROGYN enough for making our dream come True after many years of Trying. We blessed Baby girl for the first time where other had failed we have a beautiful baby daughter .Dr. 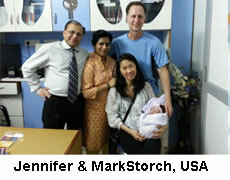 Surbhi & Dr.Ashok Gupta more kind and provided great support with All the paper work for U.S.as first time parents, they and their Staff Provided excellant training to us in the care and Feeding of our ,	while we completeted our formalities in NEW DELHI. The Journey has been long and Scary at times but Thanks to Dr. Surbhi Gupta and the Staff at UROGYN. After 6 Years of Trying to have a child we cometo UROGYN not sure our dream would ever come True. 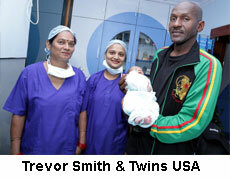 Thanks to your efforts our dream has come true and we have a beautiful Healthy Baby Boy. THANK YOU! Thanks for the nice & precious gift. I lose hope that I would become mother but because of Dr. Surbhi gupta madam. I become a mother of a baby bay. Now we are enjoying our parenthood. Thank you so much t Dr. Surbhi mam and her team for giving us our most memorable time when I gave birth to a healthy baby girl and a healthy baby boy. Now I start living with our kids my deep gratitude t her which cannot be expressed in words. Overwhelemd thank you so much. 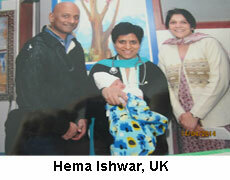 Best way of getting a child by ivf I and my wife 52 years old. I have get a child by ivf. UROGYN IVF centre is the best IVF Centre. 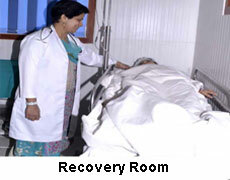 It has well trained staff and good facilities are provided to patients with satisfaction. Dr.Surbhi is best doctor there. 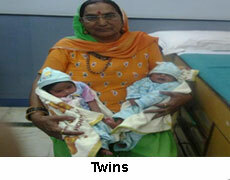 UROGYN IVF centre is the best IVF centre for me because it change totally my life. My dreams are fulfilled as like mother & father. 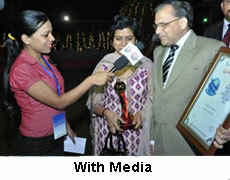 Dr. Ashok Gupta & Dr. Surbhi Gupta were treated very well to us. The atmosphere of the clinic like just as home. My experience UROGYN, I could not explain in the words..I have lost hope of having child from everywhere But when I came under Dr. Surbhi, she assure to do her best, as a result today I’m mother of a beautiful daughter. With good and qualified staff and best hospitality. I will refer to all needy women to consult there ONCE. 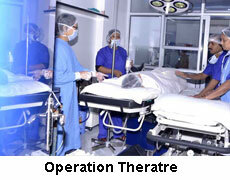 UROGYN is the best IVF centre in Delhi with par excellence facilities and wonderful working of doctors. UROGYN is the best IVF CENTRE in town I have ever seen .It’s a place where parents are best owed with a baby and fulfill their dreams by becoming Happy Parents. 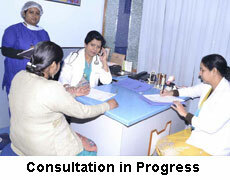 It’s pleasure to have such a trusted Infertility Clinic in our city with co-operative doctors. She has awesome experienced doctor very kind and soft spoken. I know she is going to treat you right way ! 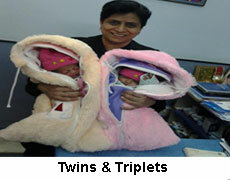 Surbhi Gupta is a well-known Gynecologist as well as an IVF and Surrogacy Specialist in Delhi India. Born and brought up in a very well educated and cultured family, Just a note to say thank you Dr.Surbhi so much for the wonderful	care I received. Everyone was so wonderful. They were so sweet, kind and professional. I’m in awe of the great people there. Their professionalism and compassion to me during that time was greatly appreciated. They went above and beyond taking care of not just my physical needs but my emotional needs as well. Special,thanks to all who took the time to sit down and explain what was going on, listened to our concerns and kept us informed of my situation and what they were doing. Special thanks to floor nursing staff for their compassion, concern and patience . God bless each one of you. This is what makes me proud to be a member of the UROGYN family..It was a pleasant experience All the nurses and doctors were very nice to me. They provided anything I asked for	and always in a timely manner. They never acted like they didn’t have time for me. 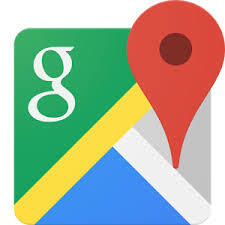 I received extensive help and assistance, which I really appreciated. My pain was always under control. The experience couldn’t have been any better for me and my family. The whole staff were excellent. Thank you all for the respect and care you showed me. You are very special people in my life...ANGELS ON WORK..LUV U ALL. Dr. Surbhi Gupta bahut acchi doctor hain. Aaj inki waje se hamare pas ek beta hai. Aur ye bahut acchha treatment karti hain. Aur yahan ka staff bhi bahut acchha hai .